Our warranty is unique in that it is covered not only through Treetime, but through our own manufacturing facilities around the globe. This means that your warranty is not simply a promise you read online like on a competitor's website, but a guarantee that your investment is protected through two layers of service and support should any problems arise. No other artificial Christmas tree retailer offers this level of coverage. We are so confident we design the best artificial Christmas trees that every tree includes a 10 season structural warranty and a longer, more comprehensive light warranty than any other brand. 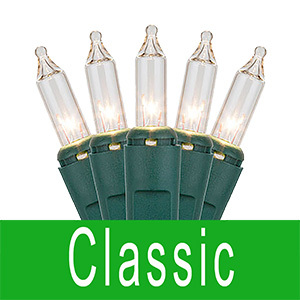 This 5-Season Limited Lighting Warranty provides for the repair or replacement of any factory-installed lights or lighted section at no charge to the customer, excluding bulb burnout through normal usage. This 10-Season Structural Warranty provides for repair or replacement of any defective part of the tree pole, stand, and hinges. It does not include flocking, tinsel, loose needle tips, pots on specialty trees, or factory installed lighting). 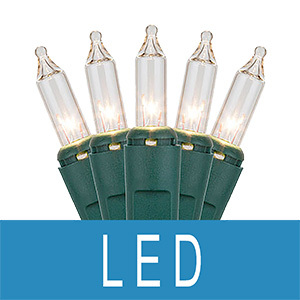 This 2-Season Limited Lighting Warranty provides for the repair or replacement of any factory-installed lights or lighted section at no charge to the customer, excluding bulb burnout through normal usage. This warranty covers all trees in the Classic Collection as well as all Wreaths and Garlands (non-clearance items). This 10-Season Structural Warranty provides for repair or replacement of any defective parts at no charge to the customer less shipping costs. This covers any part of the tree pole, stand, and hinges. It does not include flocking, tinsel, loose needle tips, or pots on specialty trees. Wreaths and garlands are not covered under any structural warranty. This 1-Season Limited Lighting Warranty provides for repair or replacement any defective factory-installed lights or lighted section at no charge to the customer. Burned out bulbs are not covered. In the event that replacement or repair work needs to be done, it is important that you call Customer Service first. Warranty claims must be documented in our database prior to having any work done on your tree, wreath or garland. The customer is responsible for paying the inbound shipping to Treetime for all items requiring warranty service. It is very important to use the original shipping box to send an entire tree back. If that box has already been discarded, call Customer Service for the proper box dimensions you will need to use prior to shipping. If only one or two sections are being sent, carefully compress the section(s) and measure tightly around them so that you select the very smallest box possible to greatly reduce the cost of shipping back to Treetime. Warranty repair work is done between February and Septemberof each year during the off-season. Items dropped off or shipped to Treetime will be returned to the customer before October 31st of the current calendar year. Some repairs may take longer than others if a part requires replacement and that product is no longer in stock. Most repairs take between 4-8 weeks. All trees, wreaths, garlands, and other products are covered under Treetime’s signature warranties as listed above with the exception of shipping costs. All customers outside of the United States are covered under the same warranty coverage for Platinum Collection, Classic Collection, and other we offer. The only difference is that we do not cover any inbound or outbound freight cost on any warranty work. All shipping charges are the responsibility of the customer. Warranty work will be no charge depending on the nature of the return. Please contact Treetime directly if you need support. Please Note: If an order is incorrect at the time of receipt, please contact us immediately. If the tree, wreath, or garland had missing parts, was defective, or if any other issues or concerns arise, please email or call Treetime right away for immediate assistance. Treetime’s Lighting Warranty does not include bulb burnout or misuse caused by accident, improper usage outdoors, improper alteration, or damages due to acts of God. The warranty is void if the item was damaged and misused in any way that was caused by the user. If the returned product is shipped back to Treetime for refund or exchange and found to be damaged or non-functional due to user neglect and not manufacturing defect, the customer will be responsible for the return shipping charges and warranty coverage will not be an option.